Can anyone dream about making a portal who classified the business? A brand who empower every person in the country to independently connect with buyers and sellers online. The process of evolution does play its part in every field and somewhere along the way the remedy to such problems brimmed in the minds of those looking for more comfortable solutions – Innovators and entrepreneurs. As a result, Quikr was born with a vision of providing a platform to the sellers and buyers to meet virtual and transact offline, with a tag India’s no. 1 online classifieds platform and over 5 million listing. It was founded by Pranay Chulet in 2008. Quikr’s recently displace from Mumbai to Bangalore. There is a reason behind of this was so that they could have access to good talent. 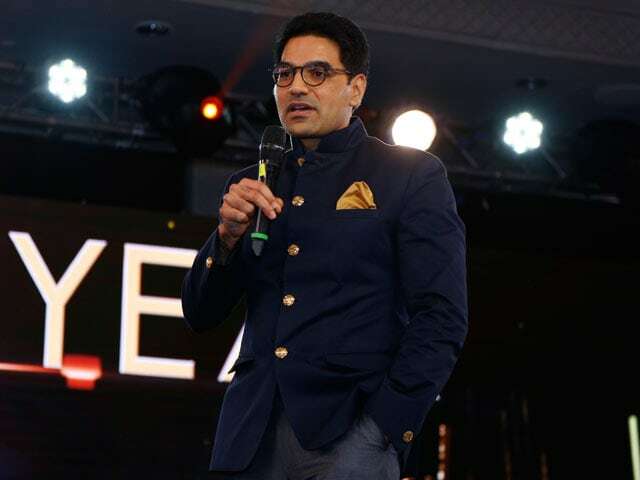 The success behind Quikr is its Founder, and CEO Pranay Chulet, was born in small town in Rajasthan, in a middle-class family where his father was a government official working in mines as a general manager and his mother was a homemaker. He completed his schooling in his town after that he got selected in IIT Delhi where he studied chemical engineering. He finished his MBA from IIM Kolkata. Eventually, he ended up spending a decade in the United States where he worked as a Management Consultant in a media firm. In 2000, he started his first venture called — Reference Check, which merged with another bigger incubator called Walker Digital! He worked in many big companies, i.e. PricewaterhouseCoopers (Associate Partner) and then Booz Allen Hamilton (Principal) in 2002 & 2005, respectively. After working for five years in MNC’s, he started another company of his own called – Excellere in 2007, which is all about developing web-based educational products. Although, for unknown reasons this venture of his didn’t function for more than a year. In India people loves to verify and feel the product before buying it and a platform that he had in mind, would get the buyer and seller in touch and would let them continue their transaction offline. This offline feature makes his idea different from e-commerce sites like Amazon or Flipkart, but would also put it on the lines of classifieds. Hence, in July 2008; Pranay officially launched Quikr.com, but as Kijiji.in! In the initial stage, Quikr was a subsidiary of eBay. Their brand name “Kijiji” was “Swahili” word which meant “community”. After the launch of the brand, they realized that it was difficult to pronounce. Hence, Pranay Chulet & his partner Jiby Thomas (Earlier founders) both decided to create a new subsidiary and officially renamed it to Quikr. However, Jiby decided to quit Quikr in 2012 and started his startup. Coming on Quikr born as a simple and unique idea. A place where people can trade things with each other but if you see, with the concept of classified also crossed paths with many players, from multiple avenues. So it was directly or indirectly competing with the several companies, but Pranay was not afraid of this situation. He knows that market with many players is very different from a market with noise. Anyone can start a website, but it’s not everyone build a classifieds business. According to him, Quikr was very clean and simple and more ballistic than the others, because Quikr shows more listing and pure experience to its audience. Just like his brand name- offered a quicker way for people to transact as compared to other marketplaces. All things were going fine, but the high point of Quikr was that: It had a definite revenue model in place. The company would make money from three verticals – premium listings, lead generation and advertising. Apart from so many things; one of the unique tactics was- every city had a different Quikr. Udaipur, for instance, Jeeps were pretty famous here, so they had open jeeps for sale. Similarly, Punjab may have plows mounted on Royal Enfield bikes; Kolkata might have women entrepreneurs promoting home-made panipuri, etc. Basically, the target audience segregated through portal strategically, and he was a marketing person, so he knew very well that promotion of brand is the main key to branding. He spent most of their funds on marketing. So he had a very innovative technique for P2P (people to people) sales as well. Acquisition– Brand comes with achievement. In respect of India, Pranay came up with such a unique model along with such innovative strategies in all aspects. In the coming year’s company has grown with speed of rocket but also transformed into a generic brand regarding classifieds. Some of the most prominent developments also came. In 2012 company reach the point where the monthly user was more than 22 million and covered in 65 cities. In 2014, the company tripled their consumer and touched the revenue around Rs. 200 Cr. Shortage of space had also led to the invention of an innovative idea. 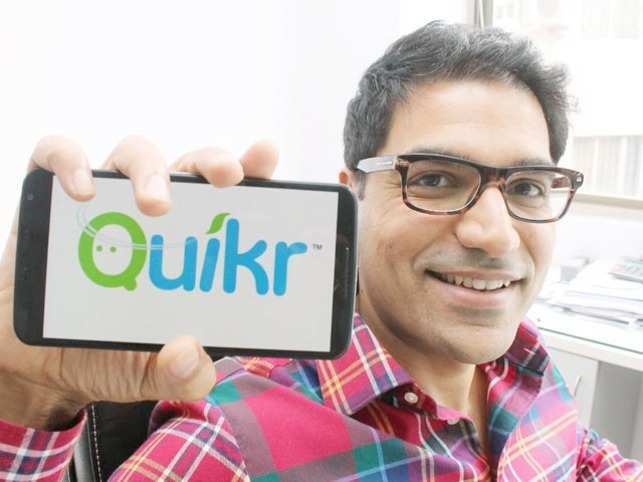 Quikr also started one-of-its-kind – ‘missed called center.’ In 2015, Quikr with a strength of 1200-1300 people, reports 15 lakh (1.5 million roughly) transactions every month, which valued somewhere around $5 billion. Quikr has received a total amount of $346 Million in funding from various investors including – Steadview Capital, Investment AB Kinnevik, Tiger Global Management, Warburg Pincus, Omidyar Network, Norwest Venture Partners – NVP, Nokia Growth Partners, Matrix Partners India and eBay. Quikr reported $10 Mn (INR 63.8 Cr) in FY17. Started with less resource and an innovative idea, Pranay had made it a multi-millionaire company through his continuous hard work and determination. This was possible because Pranay was working from starting to solve a problem many businesses used to face and he had confidence that his idea will be able to solve that problem. If you also have some problem-solving idea, do start working on that and rest will come to you.